This recipe is my contribution to Kimberly Snyder’s beauty blogging challenge. Kimberly provided us with a recipe which we are supposed to put our own twist on. Check out Kimberly’s recipe here. 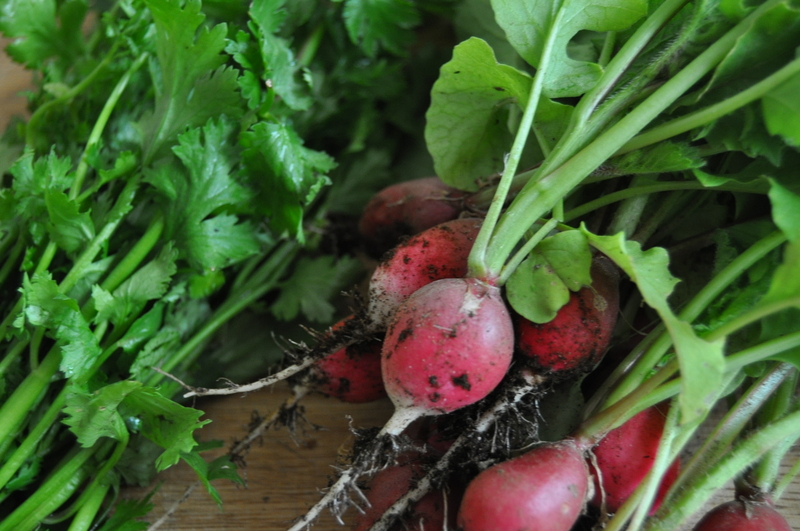 I wanted to create my own recipe using ingredients that I could pick fresh from my garden. I always have lemons on hand, which is the only ingredient I can’t grow myself (besides the salt) making this a quick and easy salad to put together. Last summer I was able to grow monster (organic) cucumbers which were bursting with hydrating goodness. I can’t wait to see what my little plants will bring me this year. 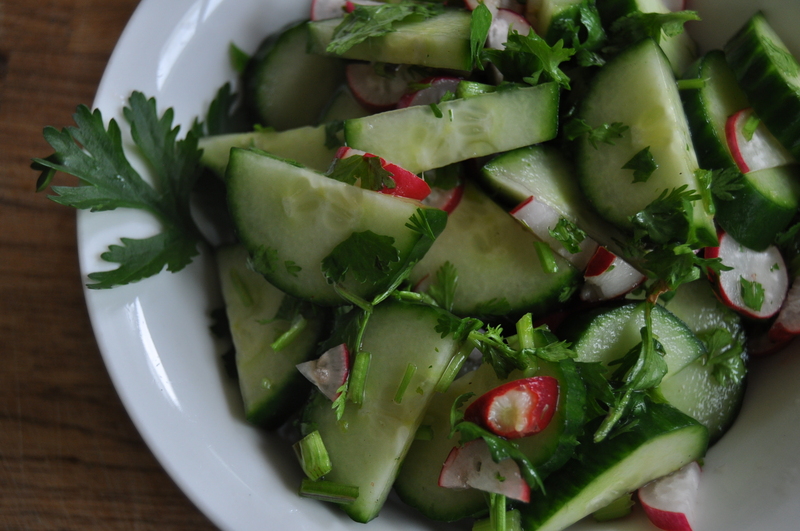 Mix the cucumbers, radishes, and cilantro in a bowl. Add lemon to taste. If you live somewhere where your lemons are nice and juicy (ie. not Canada 😉 ) you may not need the whole lemon. Taste as you go. Sprinkle with the salt. Let sit for 10 minutes to allow the lemon and salt to lightly pickle the cucumbers. This entry was posted in raw, salad, snack, vegan, vegetarian and tagged beauty detox recipe, cucumber, easy, fresh, healthy, light, raw, summer, vegan, vegetarian. Bookmark the permalink. I wish I could grow my own cucumber, too. It looks fantastic! Has home-grown one a softer peel than the ones you by in the shop, (i.e. http://leckerbiss.wordpress.com/2014/08/24/the-ultimate-secret-of-peeling-cucumbers-for-everybody-who-has-not-heard-about-it-yet/). Would this be at all necessary?